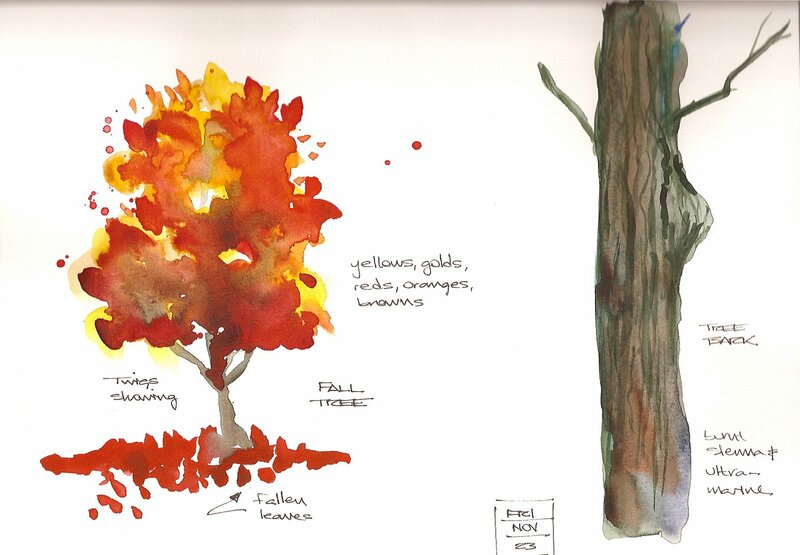 More foliage studies, based on Cathy Johnson's book, "Painting Watercolors." Watercolor sketch in Holbein sketchbook, 8 x 11" (27.6 x 20.6 cm). I was pleased with the juiciness of the autumn tree. Also, my first attempt at rendering tree bark with any detail. Again, practice helps!